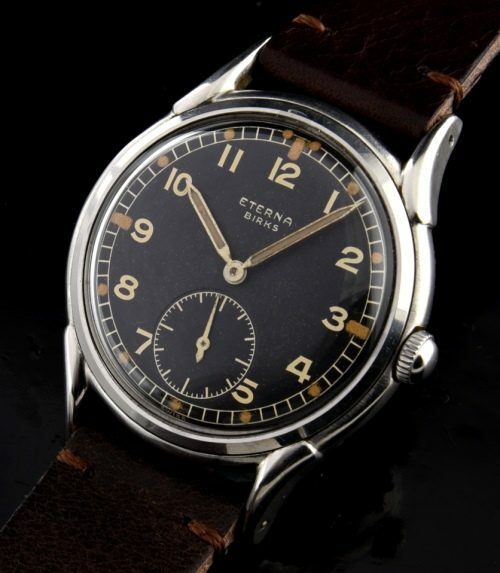 This is a very fine and original ETERNA for Birk’s military vintage watch in stainless steel with screw-back measuring a large (for the era) 35.5mm. and having curved lugs. The amazing dial is all original, as are the pencil hands. Notice the brown tones of the original luminous-WOW! The high quality ETERNA SWISS manual winding movement was just cleaned and is accurate. 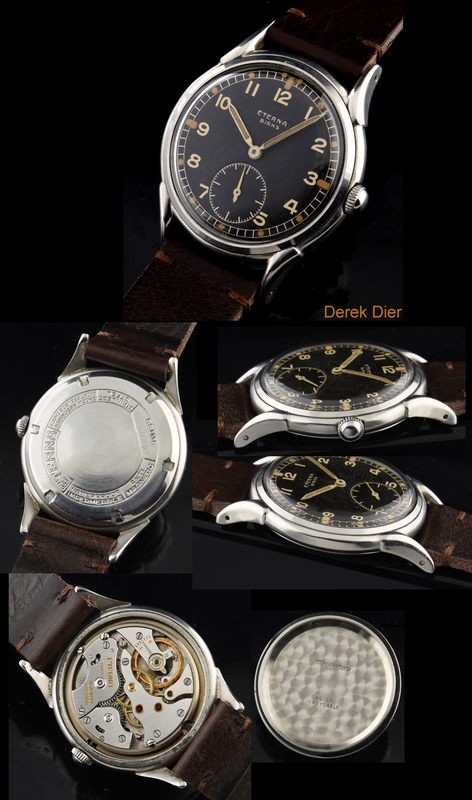 Watches with this military dial configuration-looking this great, are becoming VERY hard to find.